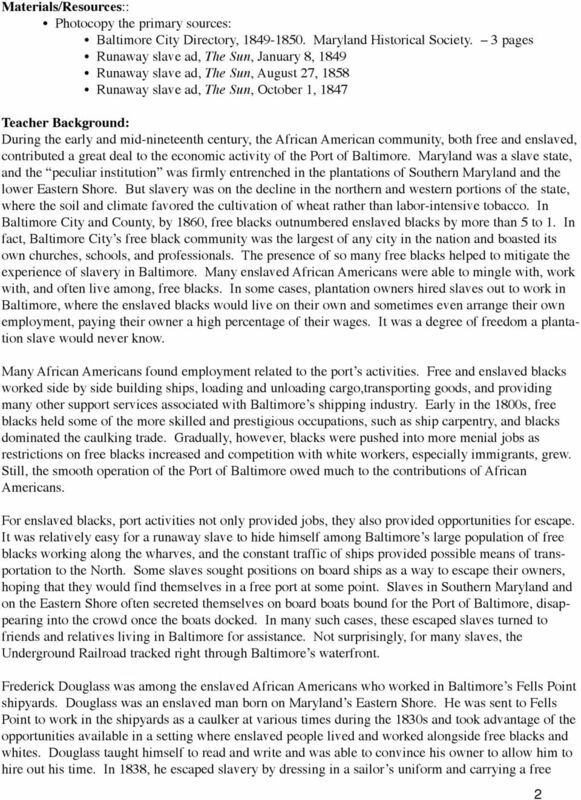 Download "Title: African Americans and the Port of Baltimore in the Nineteenth Century. Lesson Developed by: Jennifer Jones Frieman." Teacher Directions: Pre-Viewing Activity. Before viewing the interactive, discuss the use of primary source material with the students. Welcome to the Teachers Instructions area for this student activity. Here you ll find directions and suggestions for using this activity along with the materials you need to evaluate your students work. Lesson Plans. Content Goals: Introduction to the causes and military actions of WWII. To What Extent Were Women s Contributions in Industries of World War II Valued? Review #1: How did Charles Finney, a Great Awakening leader and preacher, promote individualism; socially & economically? Review #1: How did Charles Finney, a Great Awakening leader and preacher, promote individualism; socially & economically? Class Expectations E.Q: How can culture capture and shape an American identity? Lesson Plans. 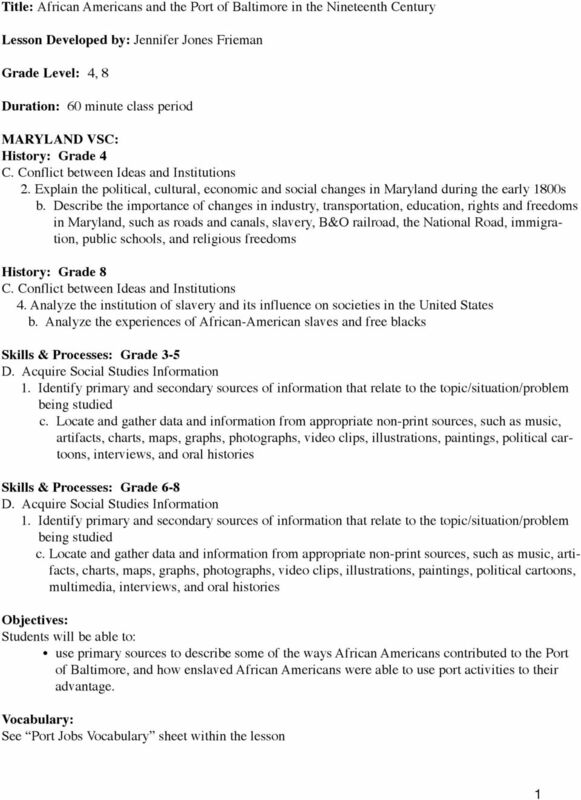 Please see Pre-Unit Activities before beginning Activity 1.